A former teacher accused of sexually abusing pupils at a Devon boarding school had "a dark secret personality", a court has been told. Paul Couch, 61, of Wyndham Street West, Plymouth, is alleged to have abused six boys - aged between eight and 13 - between 1972 and 1993. The abuse is said to have taken place on a number of occasions. 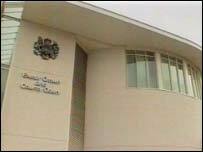 Couch pleaded not guilty to two counts of serious sexual assault and 15 of indecent assault at Exeter Crown Court. Prosecutor Ian Fenny told the court Couch "found himself in a school surrounded by temptation". Couch taught religious studies and English and was involved in sport and extra-curricular activities at the school. Mr Fenny said the teacher was "in a powerful position of trust, and people would want to trust him". The alleged offences took place at Buckfastleigh, Plymouth and Torpoint in east Cornwall. One 12-year-old boy was allegedly indecently assaulted in 1987 as he sat in Mr Couch's lap to play with a train set. The boy complained and a school inquiry "came to the conclusion it could not decide one way or another". The police became involved in 2004 when a former pupil on remand in prison told a prison chaplain a member of staff at the school had sexually abused him. Mr Fenny said Mr Couch remembered taking the boy to the Isles of Scilly and on a pilgrimage to Lourdes, but what happened was "horse-play" and nothing sexual. Other allegations came to light when police contacted former pupils. Mr Couch told police any physical contact was "horse-play" or "tactile affection". The court heard Mr Couch left the school in 1978 to join the Royal Navy as a chaplain, returning to teach in 1983. He remained until 1992 when he rejoined the Royal Navy. The trial is expected to last for 10 days.